The Song Goes On … and On …. and …..
Well, as noted in my heading, the song does go on. I received my new letterheads and cards today and mailed them out. George nobly heads up both. As to the ‘GEORGE’ stories, I still wait to see if my publisher is up for publishing them in time for Christmas. He also hopes who stands and waits. ‘PROM’ is now available in Walmart stores in the US. All together now … OOOOOOO!! It’s strange in a way, for me, personally, all seems muted, yet things happen; AUSTIN MACAULEY (and Ellie) are riding shotgun! Just below this “posting” are two further “postings” – out of order – so my apologies. 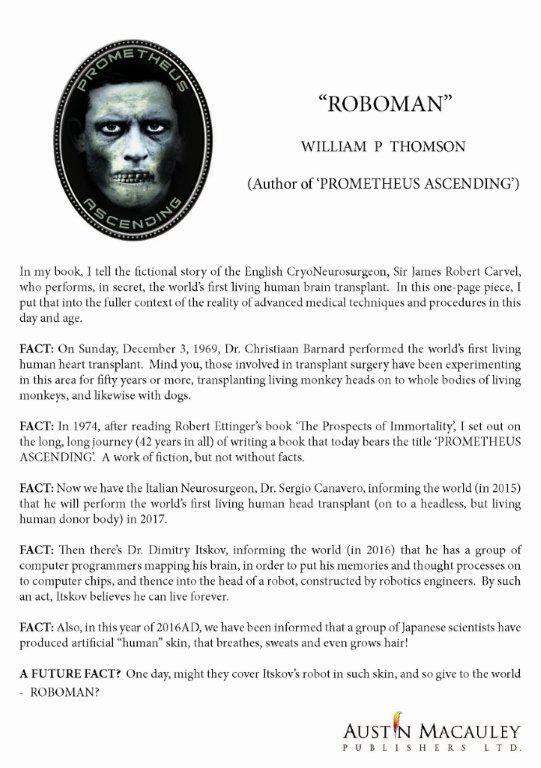 1: Some actual FACTS regarding the subject matter of the book (‘PROMETHEUS ASCENDING’). 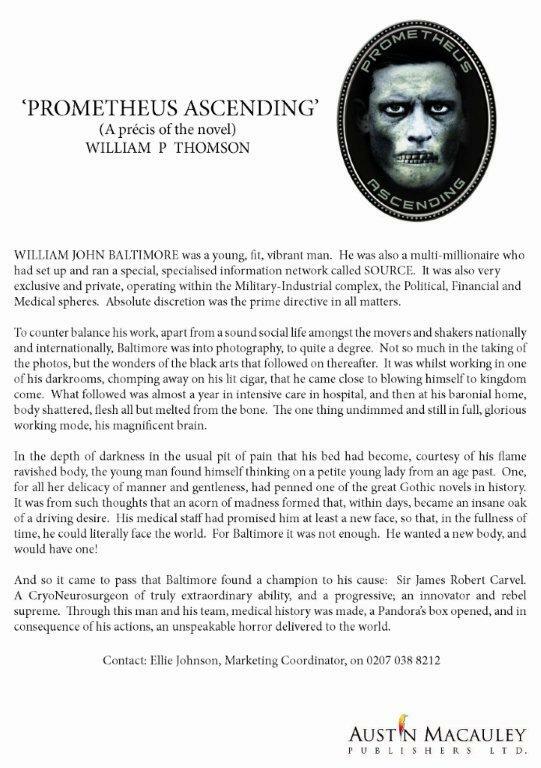 2: A précis of the book itself. Please forgive the print quality, and I assure you, the actual print quality of the double-sided leaflet is very pucker. In this case, it’s better something than nothing at all! And now ‘GEORGE’ looms on the horizon, although whether or not he’ll end up in print remains to be seen. Until text time …. CHEERS! Once more into the breach ……. Hope you enjoyed your Bank Holiday break. For me it was more of a busman’s holiday, as I’m preparing to ‘officially’ submit my ‘GEORGE’ stories to my publishers, to see if they might be up for publishing them for this Christmas; one has to begin the process kinda, soon rather than later! Obviously we, that’s Ellie and Lily of AUSTIN MACAULEY, and I, are still grafting away marketing ‘PROMETHEUS ASCENDING’. Like they say, onwards and upwards! !